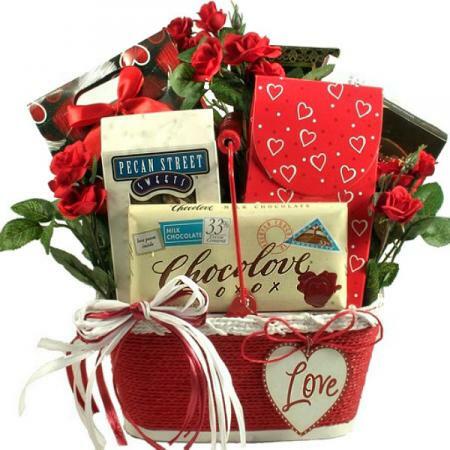 Valentine's Day is the theme; romantic is the look. 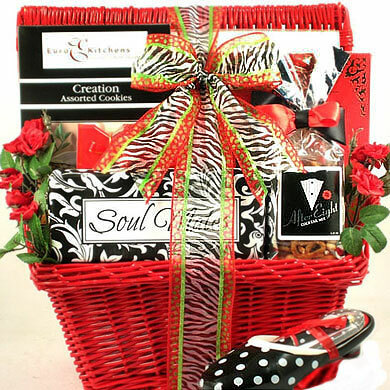 This combination of beauty and tasty treats is sure to make an impression and a loving memory that will last long after the delectable treats have been enjoyed. 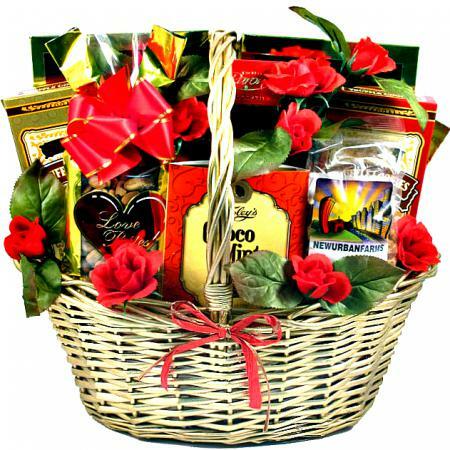 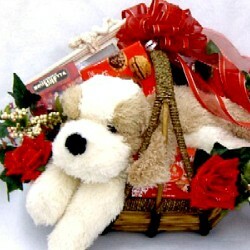 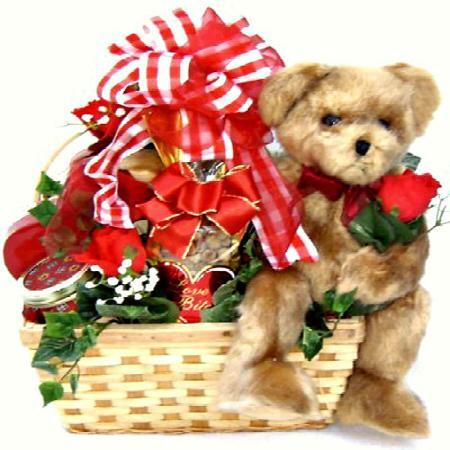 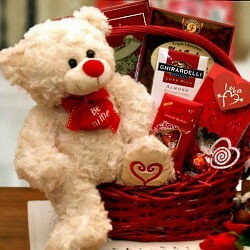 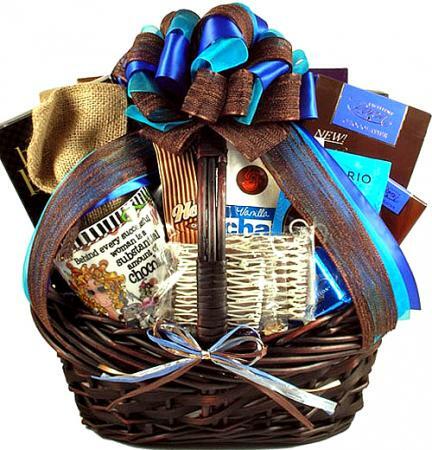 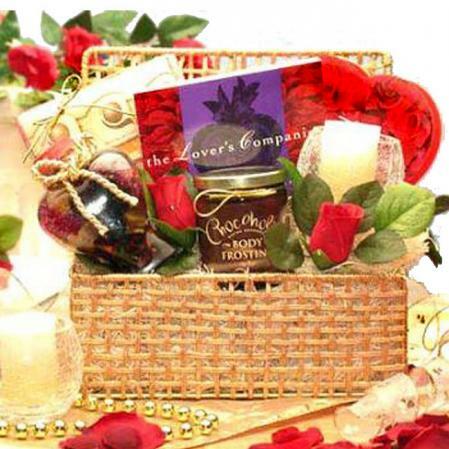 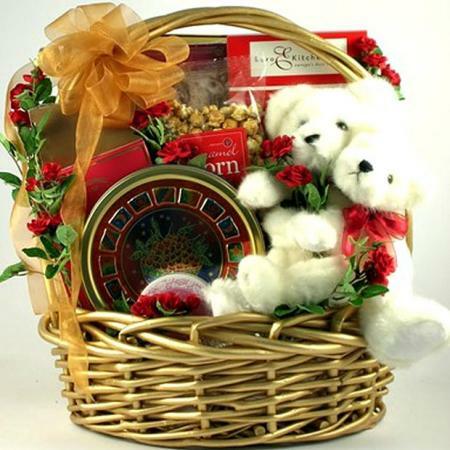 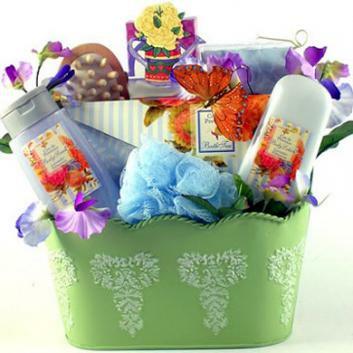 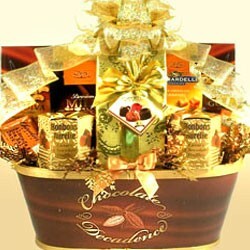 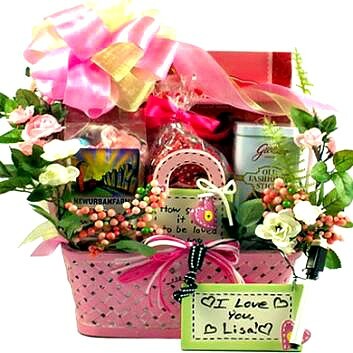 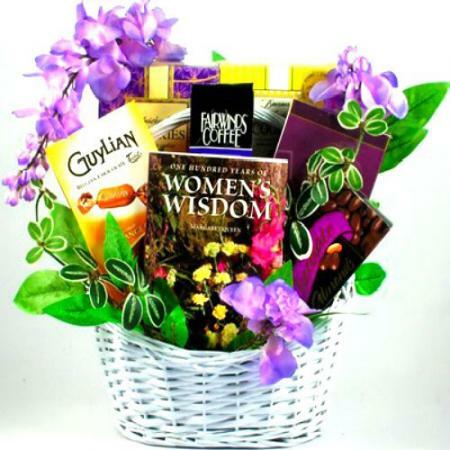 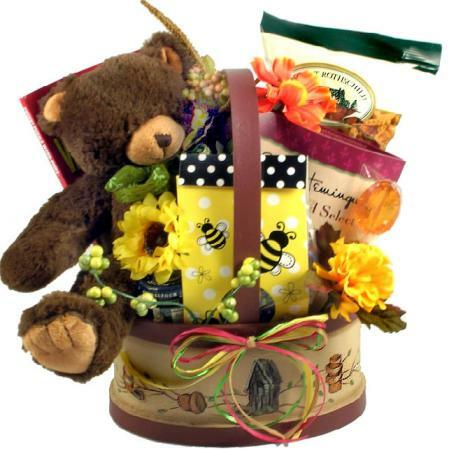 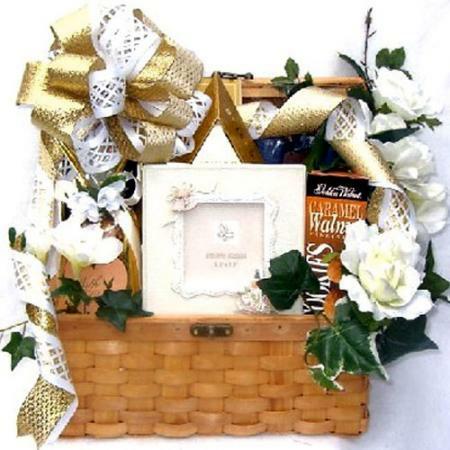 The perfect gift basket for any romantic occasion. 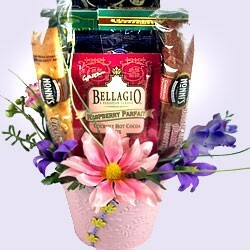 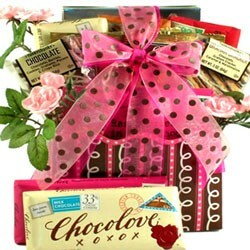 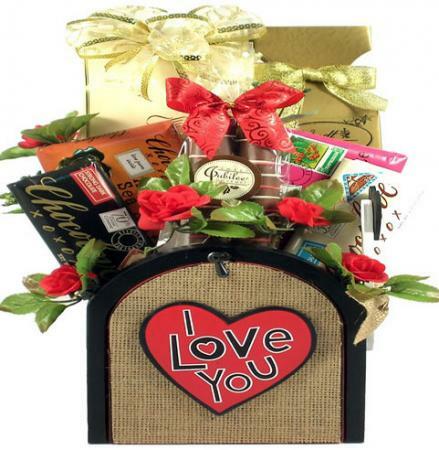 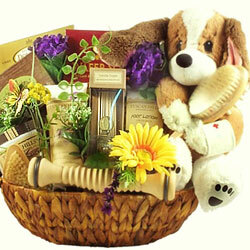 You don't have to wait until Valentine's Day to send this beautiful gift basket. 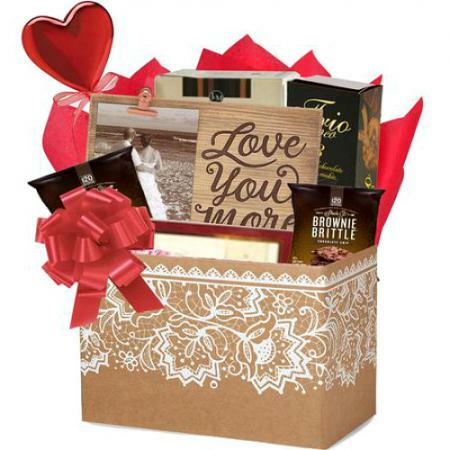 Send it for her birthday, a date night or just any day to show your love. 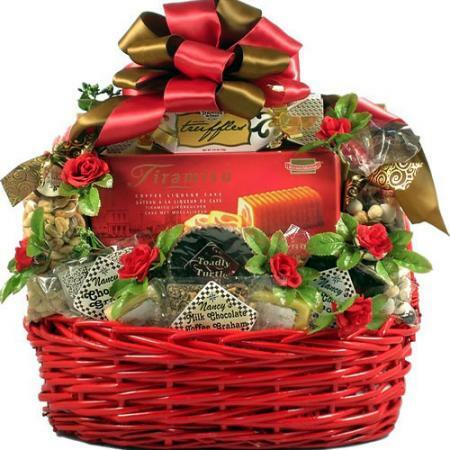 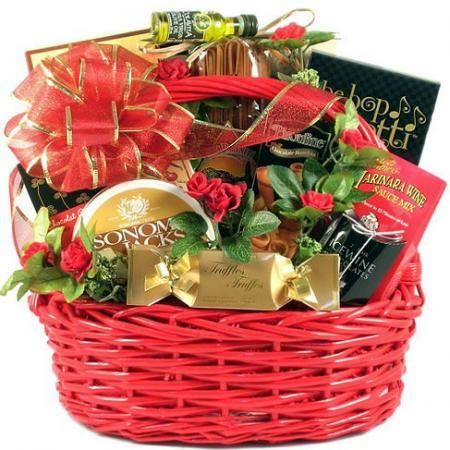 Topped with an elegant holiday bow and adorned with beautiful red and gold accents this is a spectacular gift basket that they will adore!